Andrew Sumner was having a rush of bad luck when he met beautiful and edgy Charlie, the girl of his dreams. They quickly fall into a grand love affair, but when things starts to go missing around his apartment and Charlie begins to act extremely odd and jealous, Andrew finds his life spiralling out of control. He begins to rethink his relationship wondering if Charlie is too good to be true. 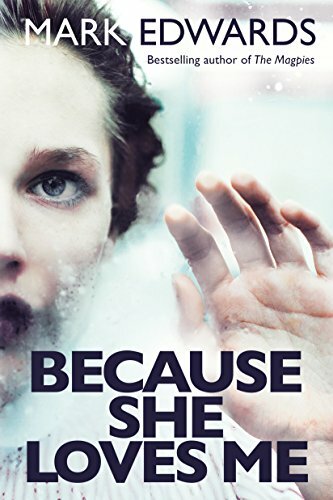 Because She Loves Me is a 2014 psychological thriller by Mark J Edwards, published by Thomas and Mercer, it follows Andrew Sumner, a web developer, who finds the girl of his dream in beautiful Charlie, a project manager at a local hospital what follows is a tale of obsession, possession and jealousy. I, like everyone who reads, loves a good bunny boiler story. Guy falls for a girl who seems to be completely perfect in every way, just to find that she’s hiding some weird or psychotic part of her personality. There are just so many ways you can tell this kind of story, but ‘Because She Loves Me’ finds a whole other angle to come from. For that reason I enjoyed this book immensely, it was a real page-turner. The whole time was spent waiting to see how quickly Andrew would wake up from his romantise state and pick up on the nightmare he was actually living in. The Mystery of Charlie was dealt with well and kept me reading to find out who she was. While I didn’t like her character, to begin with, I found myself warming to her and the way she was highlighted on the pages of the book. Our Protagonist Andrew, however, didn’t fare so well for me. He was a bit too self-obsessed and too into himself to care about any of the other characters and that pulled me towards Charlie even more. Even one of the characters, Tilly (Andrew’s Sister), pointed out how spineless and self-obsessed the character was. He was pretty much only interested in how the misfortunate of his friends had a negative impact on himself. 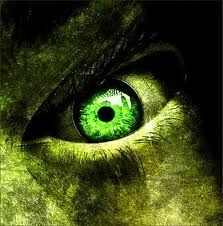 Unfortunately for me, Andrew was not a good character to follow,his nature began to grind on me. Even close to the ending, I won’t spoil the book for you, but it could have been avoided. if he had just spoken up and said something, spoke out about what was happening a lot of misinformation wouldn’t have happened. Overall Because She Loves Me is an interesting mystery that had me so sure it was one way but pulled the rug out from under me in a mind-blowing finale. While I enjoyed it, I found the character of Andrew a little irritating and Charlie was pretty much the best part of the book for me. She might be super jealous but I can dig her. Because She Loves Me is Available on Amazon, Audible and in your local bookstore.